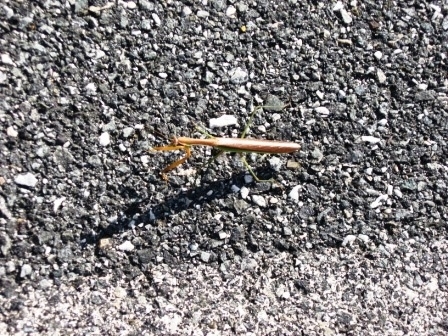 While Swamp Creek Park was new to me, New Hanover Community Park is like an old friend. 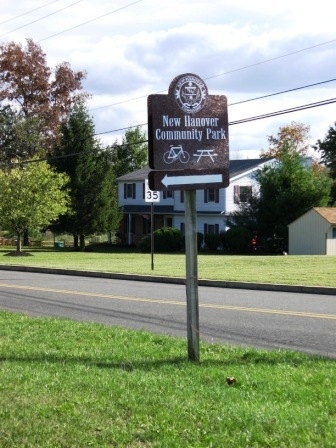 The brown park sign at the corner of Kleman Road and North Charlotte Street directs you to New Hanover Community Park, which is nestled into a residential neighborhood in Gilbertsville, New Hanover Township. 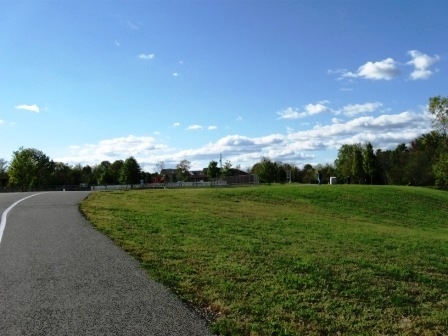 Make a right onto Gail Drive, follow it to the end and you will find the entrance to this 20-acre property that boasts a paved trail, a playground and more – something for everyone in the family. When my kids were in preschool, this was the favorite gathering place for lunch and playtime after pick-up for moms and kids alike. 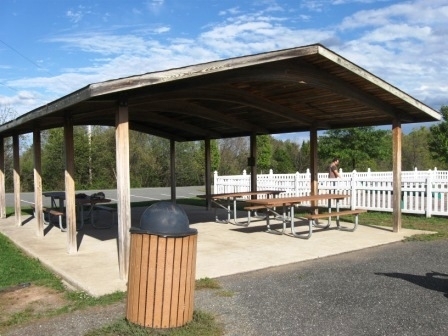 With a completely fenced-in playground, it’s a perfect place to let the kids have a little bit of freedom while you hang out with friends and enjoy a packed lunch at the covered pavilion. 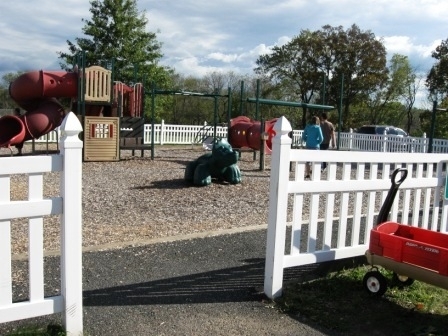 The proximity of the picnic area to the playground is just right for moms with multiple kids; you can keep the baby in the stroller while the older kids play and run on the playground. I have spent probably more than my share of time at this park with my kids, often staying the whole afternoon until my oldest was due home from elementary school. Again, in the category of things that make adults feel nauseous, the tire swing is a huge hit with my kids, even as they get older. 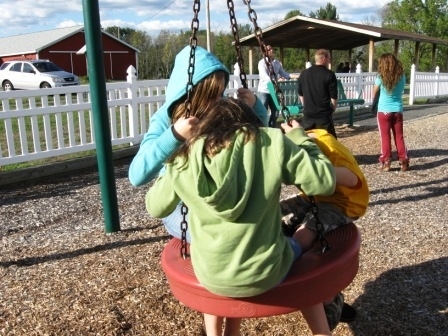 My normally reluctant 8th grader couldn’t resist the temptation of spinning around at high speeds with her younger siblings, even if the result was a bit of a headache and some residual dizziness. We walked off the motion sickness by following the ½ mile track that circles the park. The fall colors were beautiful and the gently sloped path was full of people on the Sunday afternoon that we visited. 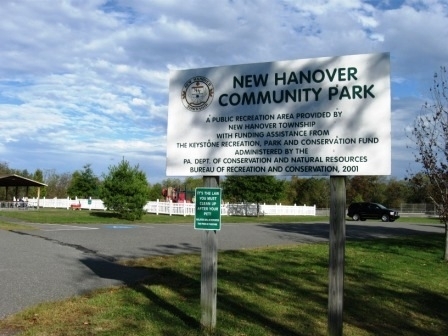 The secluded location of New Hanover Community Park doesn’t mean it’s deserted; in fact, in all the times we’ve been there, I don’t think it’s ever been empty. It fits comfortably into the surrounding neighborhood and adjacent wooded area and really gives the feeling of being immersed in nature – even as your kids can climb dinosaurs, a huge car structure, or maybe take a turn on the swings. 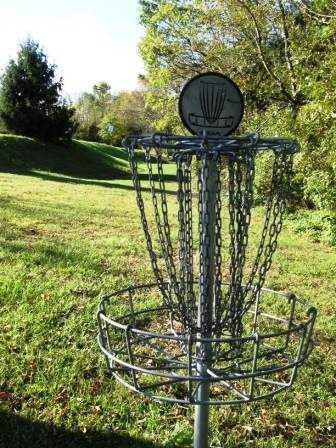 One of the features I had never seen before is the disc golf course that sits just below the walking path of the park. My memories of Frisbee golf from college involve regular Frisbees with trash cans for targets, but the concept has since evolved into a real sport. If you want to try it for yourself, the appropriate discs are available locally at sporting goods stores. The park also boasts a deck hockey rink that can be fun for more than just hockey players. Bring a scooter or some roller blades and enjoy the smooth surface of the rink (and the enclosed structure will appeal to moms and kids alike). 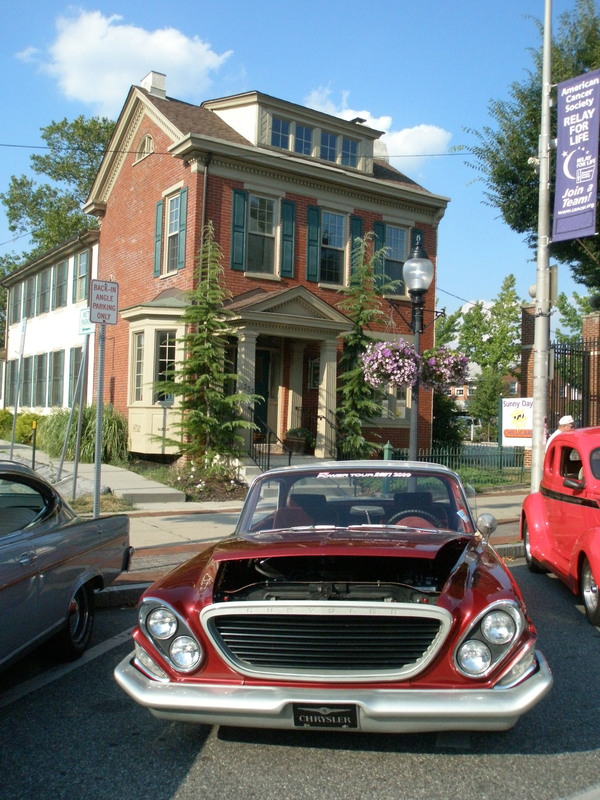 Suitability: There is something for every age. The playground is suitable for toddlers and up. 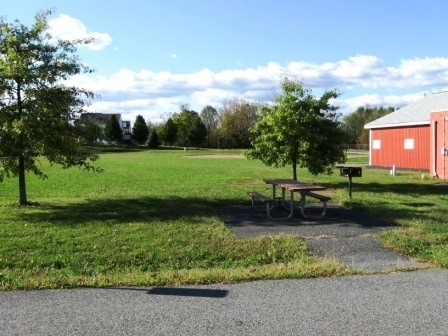 Facilities: picnic tables, covered pavilion, playground, hockey rink, ½ mile walking trail, basketball court, baseball field, disc golf course. Activities and Tips: Pack a lunch and bring the kids to the park for the afternoon.